Early childhood forms the basis of all subsequent development. Psychologists such as Freud, Erikson and Bloom have researched the influence of early childhood and have stressed its significance in the overall development of the Adult. Our aim is to provide educational assistance to parents in the education of their young children, and to provide a framework for the overall development of the child as a whole person. This development takes place in five broad (and often overlapping) areas. To help the child to form a positive self-image and a realistic sense of his own worth. To create an environment that promotes a sense of security and trust. To help develop affective stability required for all subsequent learning events. To ensure the physical safety of the child. 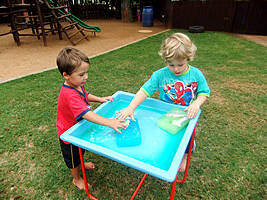 To help the child to become physically independent and to discover and understand his physical possibilities. 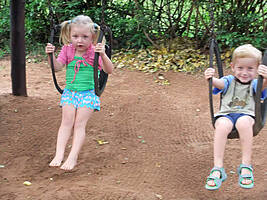 To help the child form a body image as a point of departure for Cognitive Development. To develop motor skills, identify physical problems and defects, and help correct them. To ensure the development of acceptable social skills and attitudes. To aid the forming of relationships with peers and adults. To provide support as the child learns to meet group demands. To create opportunities for healthy biological gender identification without gender stereotyping. To promote insight into society’s norms and values. To help the child to accept authority, to take responsibility and to exercise self control. To teach a responsible attitude to life with the help of adult models. To create directed concrete opportunities for the concept formation. To cultivate an inquiring attitude with a view to independent problem solving. 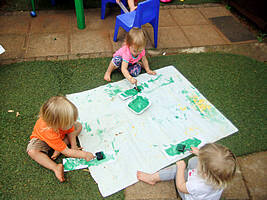 To develop learning skills such as observation, sorting, comparison and classification. To encourage the child’s innate desire to learn. To encourage a positive attitude towards, and a love of knowledge. Helping the child to recognise and appreciate the beauty of the world around him. Showing the child how to experience the joy of creative activities and providing a basis for the development of his own creativity. We have a music specialist who visits our school on a weekly basis. 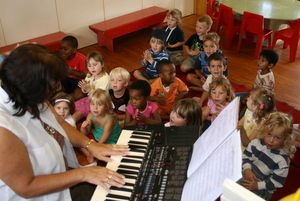 Music is offered to every child in the school, and is included in the school fees. 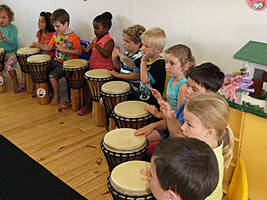 Music within a relaxed framework enriches our children’s lives. It helps them to discover the good in themselves and in others. It nurtures an understanding and acceptance for one another. We as parents must ensure that our children make this invaluable gift their own!